Our Father which art in heaven, Hallowed be thy name. 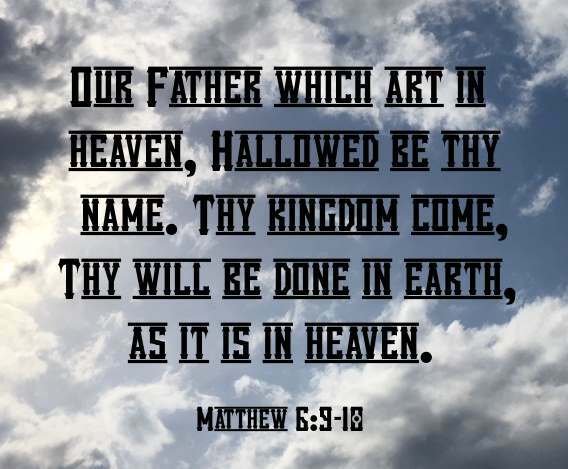 Thy kingdom come, Thy will be done in earth, as it is in heaven (Matthew 6:9-10). And Nadab and Abihu, the sons of Aaron, took either of them his censer, and put fire therein, and put incense thereon, and offered strange fire before the Lord, which he commanded them not. And there went out fire from the Lord, and devoured them, and they died before the Lord. 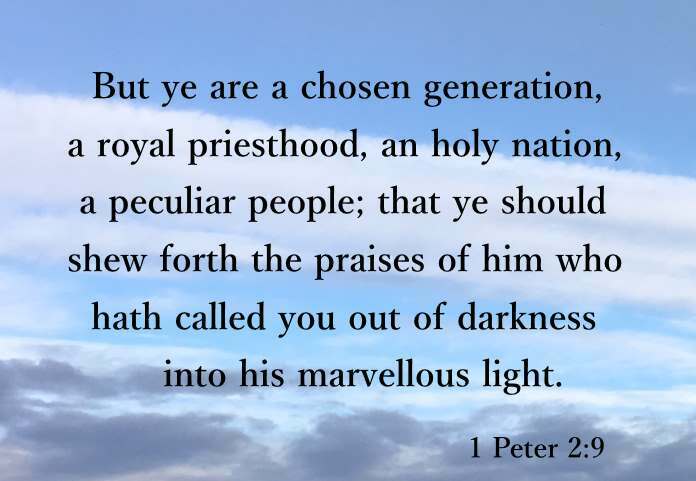 Then Moses said unto Aaron, This is it that the Lord spake, saying, I will be sanctified in them that come nigh me, and before all the people I will be glorified. And Aaron held his peace (Leviticus 10:1-3). And ye shall not go out from the door of the tabernacle of the congregation, lest ye die: for the anointing oil of the Lord is upon you. And they did according to the word of Moses (Leviticus 10:7). And the Lord spake unto Moses after the death of the two sons of Aaron, when they offered before the Lord, and died; And the Lord said unto Moses, Speak unto Aaron thy brother, that he come not at all times into the holy place within the vail before the mercy seat, which is upon the ark; that he die not: for I will appear in the cloud upon the mercy seat (Leviticus 16:1-2). These two verses are also the beginning of the instructions for the Day of Atonement (Leviticus 16:1-34). When I reflect on this story, I find it interesting that God had not spoken one word of condolence for Aaron about the death of his sons. I don't believe for one moment that God does not have compassion for Aaron and his loss. You can see it elsewhere in the Bible where people mourned over deaths. But the work of the Lord had to continue. The Law had to be given and had to be taught. We all may suffer loss of some kind or another. We are human after all. There will be valleys in our lives but Jesus has promised that He will get us through them (Psalm 23:1-6). Having said that though, our attitude and faith will affect the depth of the valley, causing us to possibly waste a tremendous amount of time, when there is work to be done - His kingdom come. And he said unto them, Go ye into all the world, and preach the gospel to every creature. He that believeth and is baptized shall be saved; but he that believeth not shall be damned. And these signs shall follow them that believe; In my name shall they cast out devils; they shall speak with new tongues; They shall take up serpents; and if they drink any deadly thing, it shall not hurt them; they shall lay hands on the sick, and they shall recover. So then after the Lord had spoken unto them, he was received up into heaven, and sat on the right hand of God. And they went forth, and preached every where, the Lord working with them, and confirming the word with signs following. Amen (Mark 16:15-20). Parallel versus of the Great Commission are found in the other synoptic gospels: Matthew 28:18-20 and Luke 24:44-47. So every day we spend wallowing in the mire, is one day less we have to win souls. What other job on earth do we have that is more important than winning souls? Hallelujah, let His kingdom come!